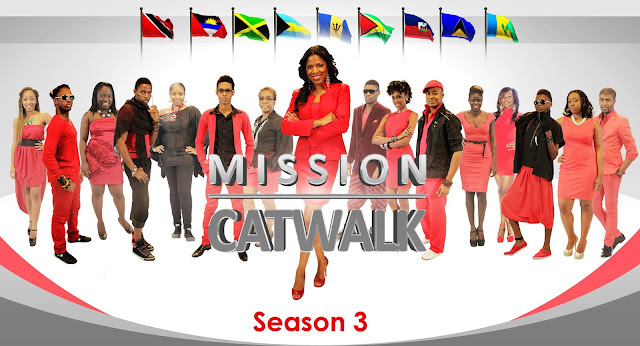 Mission Catwalk is an exciting Caribbean reality TV series aimed at discovering and developing talented fashion designers. Season three of Mission Catwalk has expanded to include designers from St. Lucia, St, Vincent, Antigua, Haiti and Bahamas, who will now join the likes of Jamaica, Barbados, Trinidad and Tobago, and Guyana in TV’s hottest design challenge. Season three kicks off on Saturday, April 13 at 8:30PM ON TVJ and will repeat on Tuesdays at 5:30PM, airing on local TV networks in Jamaica, Trinidad and Tobago, Barbados, Guyana, Grenada, Haiti, Antigua, St Lucia, St Vincent, Bahamas, Belize, Bermuda and other Caribbean islands via CaribVision. 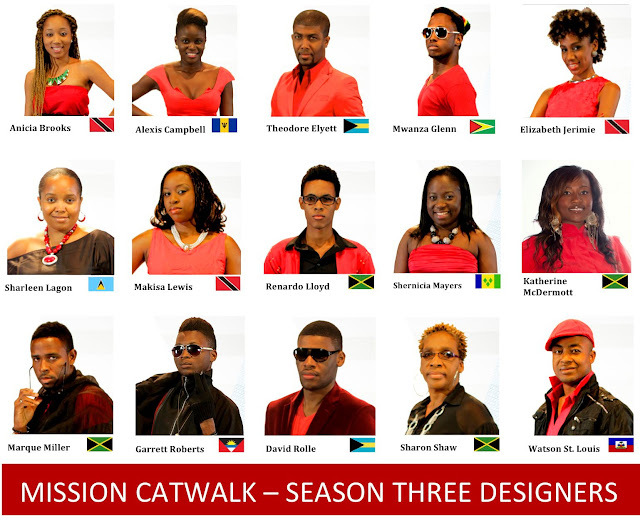 St.Lucian designer Sharleen Lagon (seen first in row 2) is no stranger to this blog, see more of her Jaeylu designs.